The Association was formed in August 1967 to foster and improve the fine vacation environment in Westmore. Composed of summer people and permanent residents, and with at least three local people on its Board of Trustees, it cooperates closely with the Town of Westmore to accomplish benefits for the area. 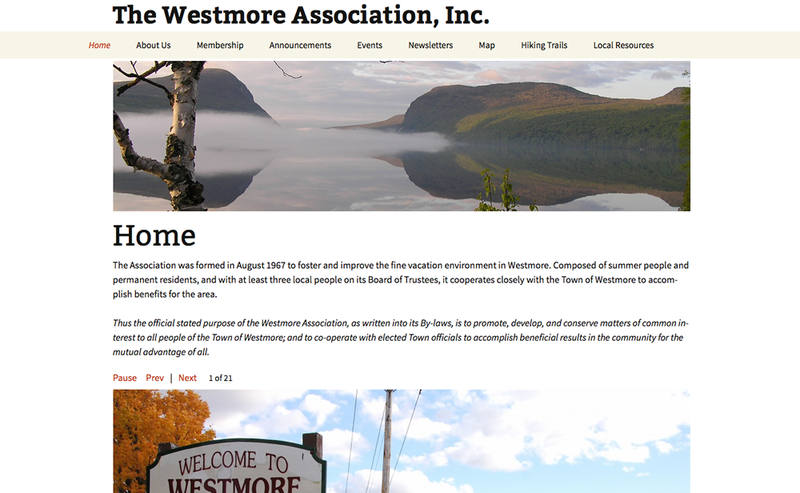 Thus the official stated purpose of the Westmore Association, as written into its By-laws, is to promote, develop, and conserve matters of common interest to all people of the Town of Westmore; and to co-operate with elected Town officials to accomplish beneficial results in the community for the mutual advantage of all.